Nothing is more important than your own resolve to achieve lasting weight loss success. Working with Dr. Aron and Weight Loss NYC staff provides you with the steady structure and guidance to define and develop your customized diet plan and your means to remain nutritionally strong in the process. Weight loss is achieved via the normal pathways your body uses to accomplish it. There is no secret formula or magic pill out there to "burn fat" — the only "fat burner" is … your own body! Our medical weight loss program is the medically prescribed, FDA-approved weight loss program, with real medical science behind the results. Many people are not yet aware of the reality of bariatric medicine as the fundamental means for achieving non-surgical weight loss results. 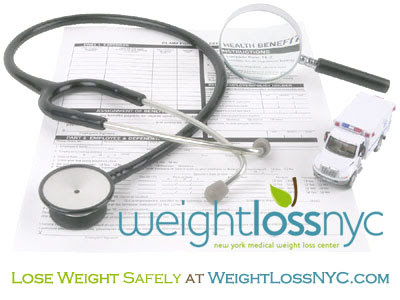 In fact, most surgeons recommend following a medically supervised weight loss program prior to surgery.